First things first, we can’t overlook the gorgeous pool we have in our midst. This might be our favorite perk of the entire hotel (the games are a very close second). Sprawled across the lawn, the WPH pool is situating the middle of tall palms, reclining Acapulco chairs and breezy hammocks. To the side is Swizzle, our trendy island-cocktail bar, and also on the lawn are our outdoor ping-pong table, life-sized jenga and bocce ball court. If you’re visiting South Beach, Art Deco is a must. 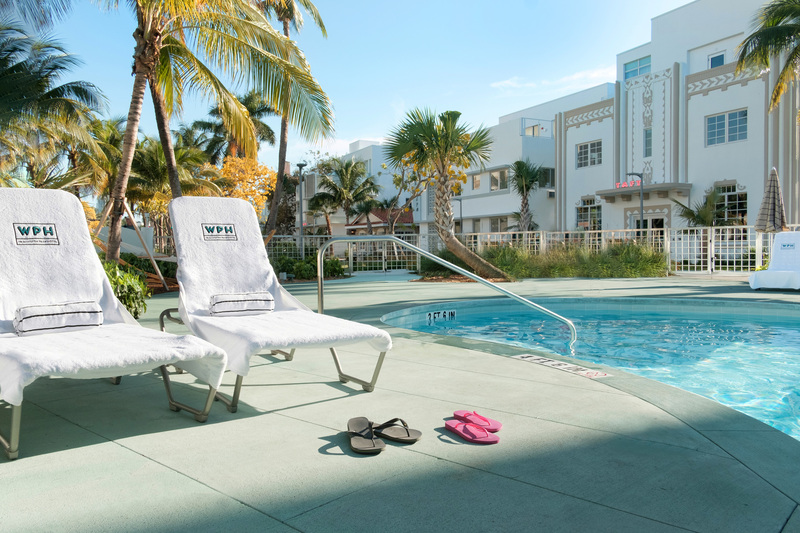 Located in the heart of SoBe’s Art Deco District, WPH is a perfect launching point for an Art Deco tour. Wander around the neighborhood, or follow our guide to our favorite picks in the district. And if you don’t feel like walking, you can tour South Beach’s most iconic landmarks on our fleet of Martone bikes. A long-time favorite of the Miami community, Little Havana’s Viernes Culturales are well worth the trip to the mainland. Held on the last Friday of every month, Viernes Culturales offers tours of the neighborhood, dancing, art, music, and of course, delicious food and drinks. Make sure to stop by Azucar for dessert. Just next to Lincoln Road Mall, you’ll find the Frank Gehry-designed New World Center, home to the New World Symphony. Although symphony performances aren’t free, the center does project both concerts and films on the building’s wall that are open for the public. With a mix of classic and contemporary offerings, you’ll find something to agree on. Check the schedule here. While the general public has to wait until Friday nights for free admission to this beloved Miami Beach museum, WPH guests get free admission for the length of their stay. Browse the Wolfsonian’s collection ranging from the 1850s to the 1950s, with a special emphasis on the objects of the modern era, in the form of both art and design. One of Miami’s most popular events, Wynwood’s monthly block party keeps growing. Centered around the neighborhood’s vibrant art scene, Second Saturday keeps the galleries open late, and the food trucks, too. Nevertheless, the general consensus is to get there early. Early birds are known to be rewarded with a few free drinks. Traffic is known to get crazy, so we wouldn’t recommend driving.